Every time I’ve watched Martin Scorsese’s Goodefellas (1991) (which is more than a few) one of the things that always strikes me is how familiar I am with the built environment of the film. I grew up on the South Shore of Long Island, Baldwin to be exact. So many of the scenes where Henry Hill is courting Karen at the beginning or when he’s is driving around like a paranoid maniac towards the end are landscapes that almost seem like polariods from my childhood. But what I didn’t realize until reading Nicholas Pileggi’s Wiseguy, is just how much truth was behind that cinematic impression. 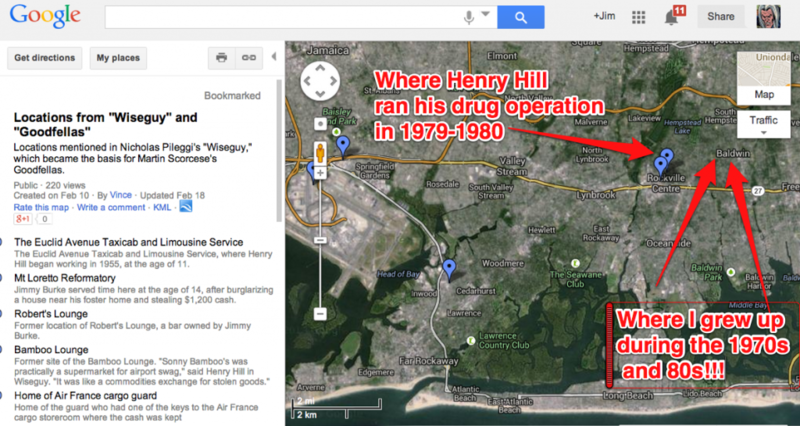 The last place Henry Hill lived and dealt drugs from before he was “pinched” was in Rockville Centre, one town away from where I grew up. In fact, while reading the book I realized most of the film took place ehere I grew up, it was a bit crazy to come to that realization. I was the same age as Henry Hill’s kids. He was of my parents’ generation. He was South Shore trash, just like me 😉 Part of the joy of reading this book for me was Hill’s insistence on naming people and places so regualrly. While this might come with the territory of being an informat, it also effectively maps a whole universe of working class gangsters right in my boyhood backyard. I’ve recently written about true crime on Google Maps, and while I was Google searhcing some of the addresses referenced in Pileggi’s book, I discovered that someone already created a Google map for the film and the book. The web is such an amazing place. This entry was posted in True Crime and tagged baldwin, Goodfellas, google maps, Long Island, Martin Scorsese, Nicholas Pileggi, truecrime, Wiseguy. Bookmark the permalink. 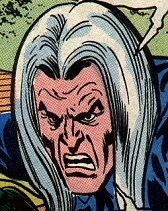 i have some additional addresses you may be interested in.